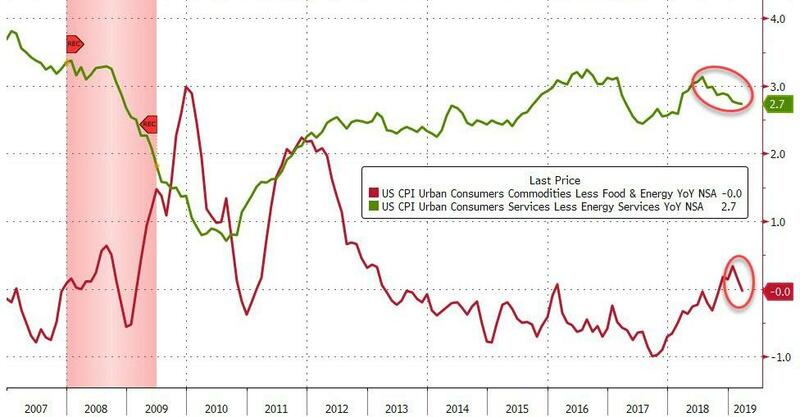 Something for everyone in today's CPI data with the headline consumer price index rising more than expected at +1.9% YoY (+1.8% YoY exp) and core CPI weaker than expected at +2.0% YoY (+2.1% YoY). The index for all items less food and energy increased 0.1 percent in March, the same monthly increase as in February. The medical care index, which declined in February, rose 0.3 percent in March. The index for prescription drugs increased 0.6 percent in March following a 1.0-percent decline in February. 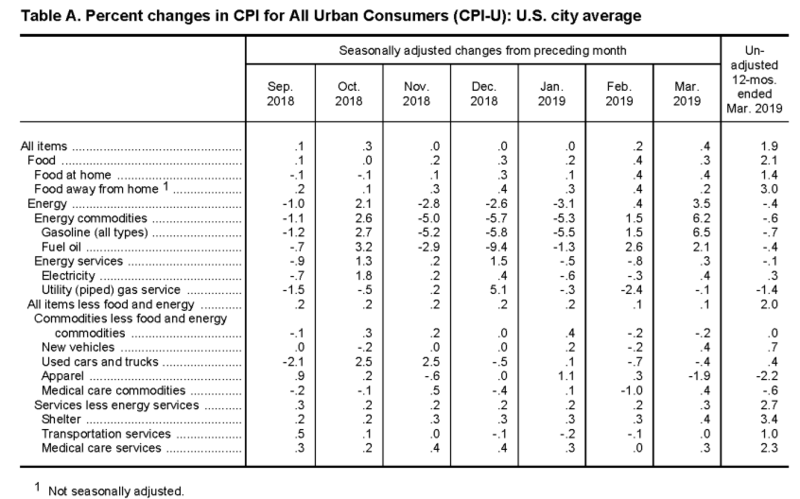 The index for hospital services also increased in March, rising 0.3 percent, but the index for physicians’ services declined, falling 0.4 percent. 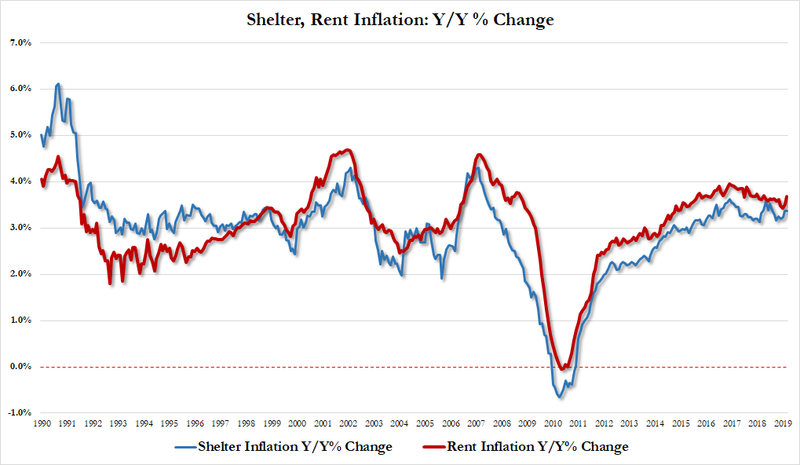 The shelter index continued to rise, increasing 0.4 percent. The index for rent rose 0.4 percent, while the index for owners’ equivalent rent increased 0.3 percent. Notably, as Bloomberg reports, Wednesday’s numbers likely reflect some effects from new data collected directly from a department store company, which the March report incorporated for the first time. Economists at Goldman and SocGen had projected the change could cause a drag from apparel on the broader measure. 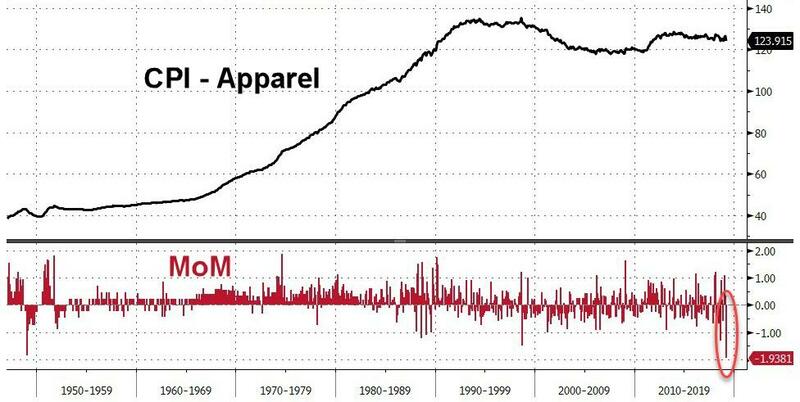 Apparel prices fell 1.9 percent from the prior month, the most since 1949, and were down 2.2 percent from a year earlier. 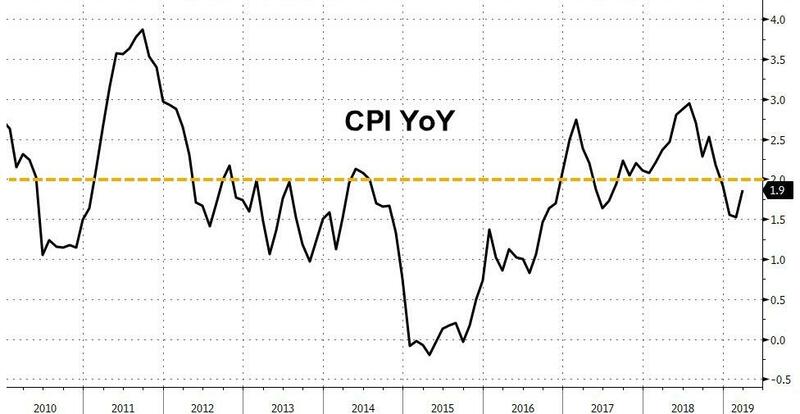 The category accounts for 3.1 percent of CPI. 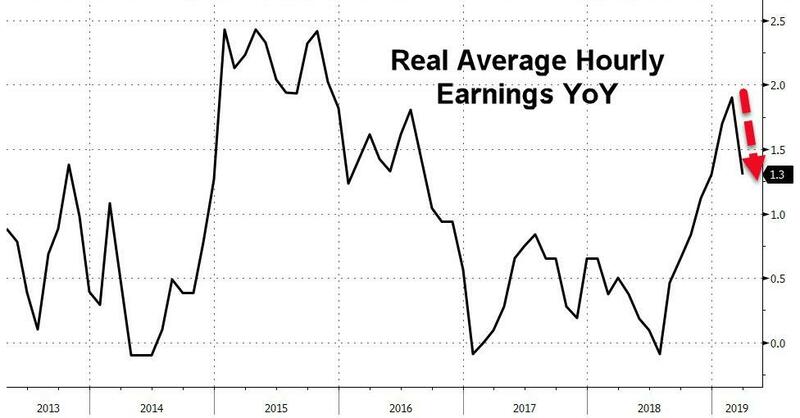 So shelter costs soaring, wages slowing - get back to work Mr.Powell! !